Come to see this Riverside On The Loxahatchee estate in Tequesta, Florida! This four bedroom, six bathroom, and two half bathroom home is generously laid out on over seven thousand two hundred and sixty square feet of perfectly appointed living space. This estate features two indoor professional bowling lanes! The backyard oasis has a sparkling swimming pool and is right on the water. The scenic sunset views in this backyard are mesmerizing. The fourth bedroom is in its own guest house so your guest can have ultimate privacy. The master suite is generously over sized. The gourmet chef's kitchen has a six burner gas range. The kitchen boasts custom cabinetry and sleek granite counter tops. 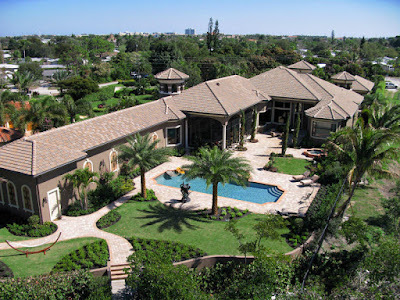 354 West Riverside Drive is located in Tequesta and is currently asking $5,495,000.00. Residents of Riverside On The Loxahatchee are in close proximity to fine shopping, dining, and entertainment at the nearby Harbourside Place, Gardens Mall, and the Maltz Theater. The pristine beaches of Jupiter Island are just a short drive. The Palm Beach International airport is only a thirty minute drive. Metropolitan cities such as Fort Lauderdale and Miami can be reached in a couple hours by car.